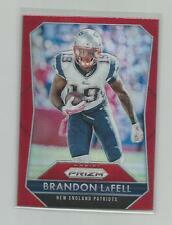 2015 Prizim Collegiate Brandon LaFell Gold. Number 18 and the serial number is 06/10. Please pay within 5 days. Zero tears, bends, stains, etc. 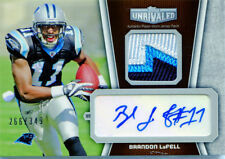 The front face of the card there is zero to maybe a small trace of white showing. 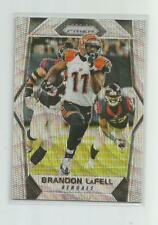 A card with four sharp corners, Good centering, no imperfections or signs of wear. Nothing major. 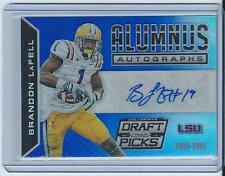 BRANDON LaFELL 2013 PANINI CERTIFIED PLATINUM EMERALD #'RC 4/5 ! !